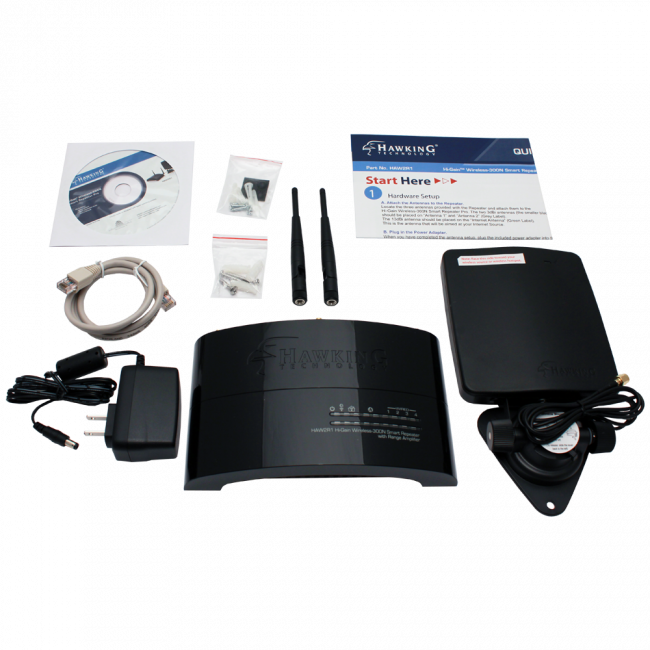 The Hawking HAW2R1 has been discontinued and replaced by the new and improved Hawking Hi-Gain Wireless-300N Smart Repeater with Directional Antenna. 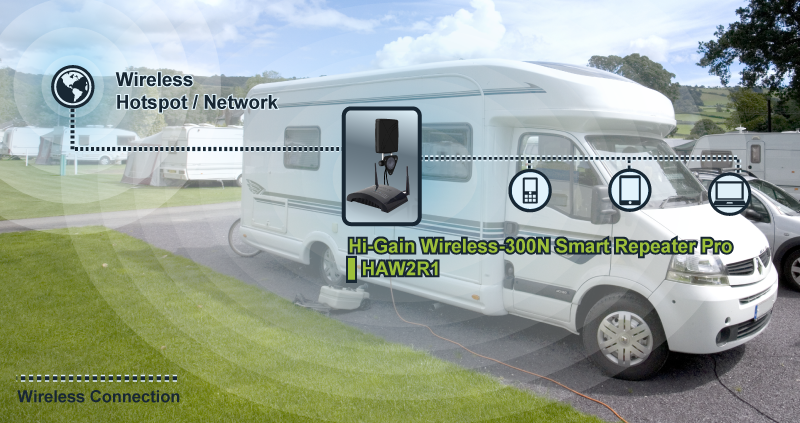 The Hawking HAW2R1 Hi-Gain Wireless-300N Smart Repeater Pro allows you to connect to any distant open 2.4GHz 802.11b/g/n wireless network and then rebroadcast the signal inside of your RV, apartment, home, office, or local surroundings. 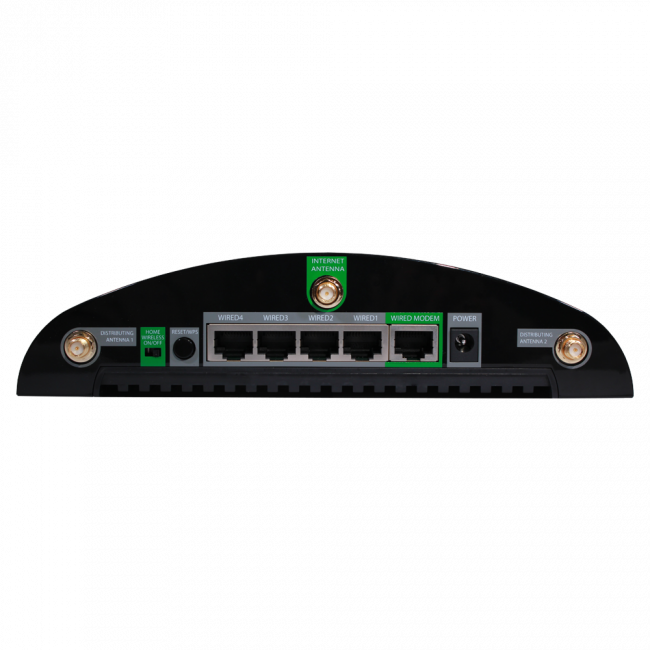 The Hawking HAW2R1 utilizes 2 internal radios to simultaneously communicate with the open wireless network and broadcoast the wireless signal to the local area. 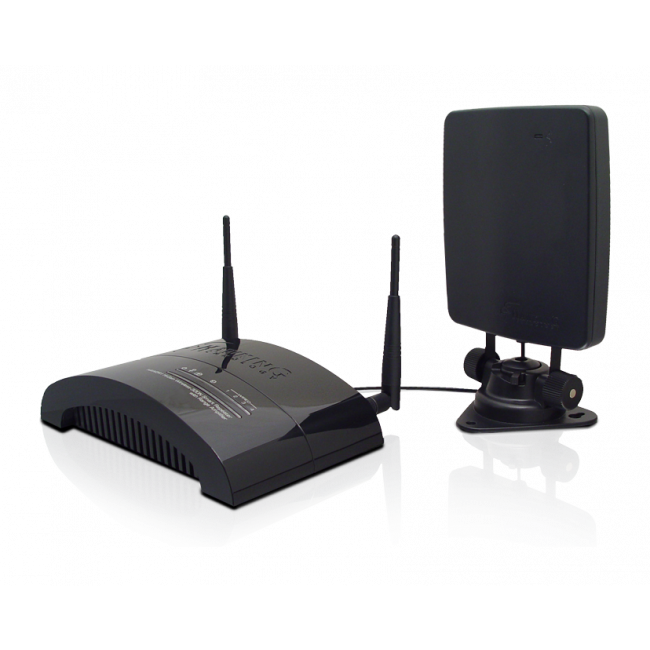 The radio that communicates with the open wireless network utilizes a 13 dBi directional antenna to significantly increase its reach, while the broadcasting radio uses two 3 dBi omnidirectional antennas to blanket the local area in WiFi. 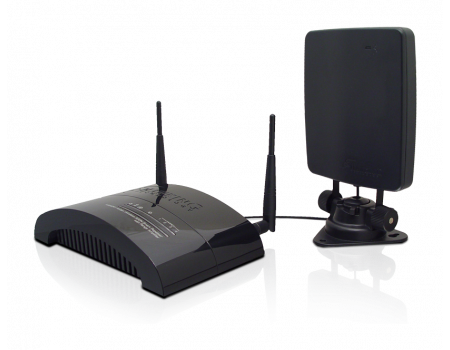 The Hawking HAW2R1 Hi-Gain Wireless-300N Smart Repeater Pro utilizes the newest security technology to ensure that your data remains secure while in transit. 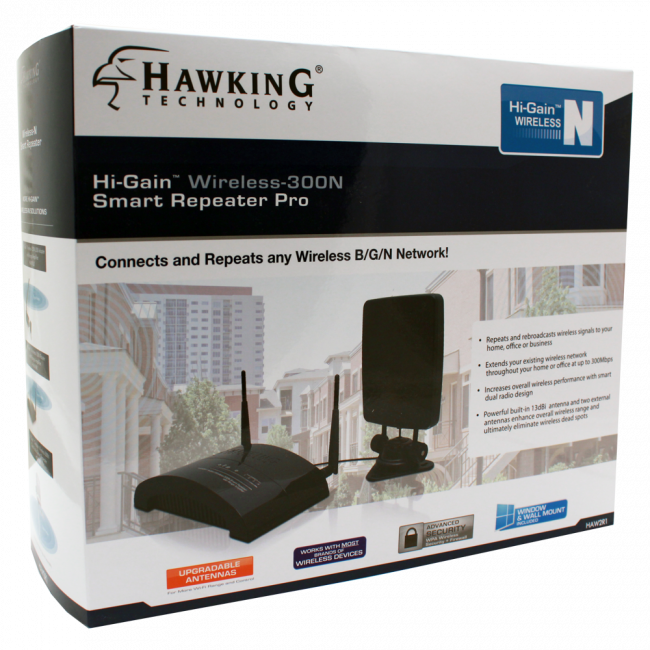 The Hawking HAW2R1 Hi-Gain Wireless-300N Smart Repeater Pro will increase the range of the system up to 6 times and the local coverage area by up to 3 times the size and speed.